Posted June 21, 2015 by admin & filed under Preventative Maintenance, White Bear Lake Auto Repair. 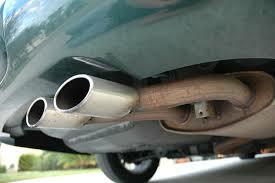 So what does the exhaust system do? The exhaust system is made up of your vehicle’s exhaust manifold, catalytic converter, muffler, and pipes – all designed to move the waste from the engine out of the vehicle. If an engine was 100% efficient, it would combust all of the fuel turning every drop into power for your vehicle. But because no engine is perfect, leftover fuel is left behind as exhaust. Each component in the exhaust system has a specific job, and is designed to safely move this dangerous chemicals and fumes from your engine and out of the vehicle. 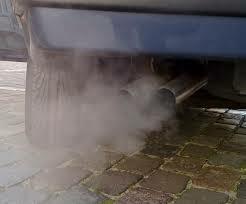 If the leak occurs before the exhaust reaches the catalytic converter, your vehicle pours the toxic fumes into the atmosphere, which can be dangerous for you, your passengers, your vehicle, and the environment. Have the leak inspected and repaired right away. Call our team of certified technicians if you notice any issues with your vehicles exhaust, including strange noises, smells, leaks, or visible exhaust. The auto experts at our White Bear Lake auto repair shop will inspect your vehicle, repair any leaks or damage, and get you back on the road even faster! Schedule your appointment online or call 651-426-0462.